Perfect for practice, rehearsals and live playing, the SubZero 60W Acoustic Amp has plenty of power for live performance. With two channels that offer 3 band EQ and DSP effects and simultaneous use of microphones and CD/MP3 players, you have everything you need to achieve the live sound you are looking for. 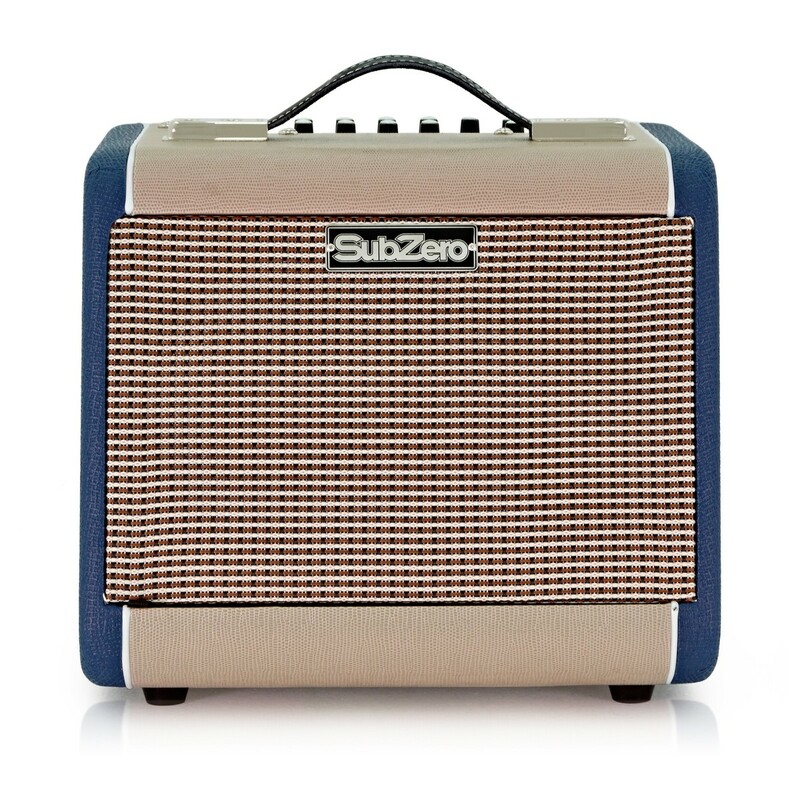 This tidy and stylish amp takes up hardly any room onstage, and comes with a dedicated grip handle for ease of transport. This versatile amp is equipped with two channels. The first is for your acoustic guitar, and features a jack input, 3 band EQ so you can adapt your sound to different gig environments, and DSP effects including chorus, delay and reverb, helping you to get the acoustic tones and sounds you want. The second channel is for microphones using an XLR input. This is great for singing along through a vocal mic or adding a mic for improved ambience to your acoustic sound. 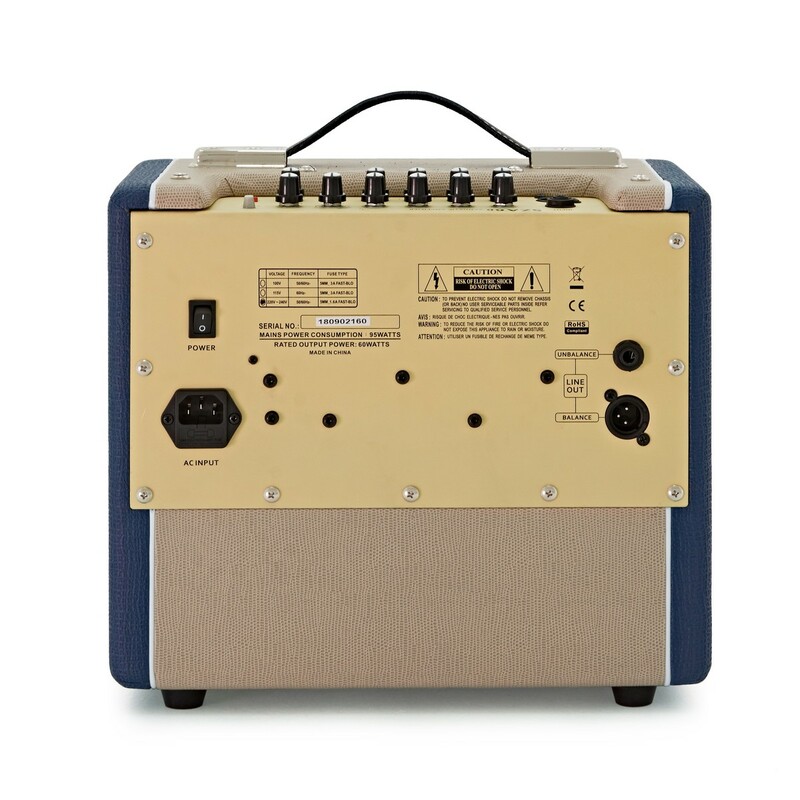 Auxiliary inputs allow CD players or MP3's to be played directly through the amplifier, excellent for practising along to your favourite acoustic tracks, or providing backing during a live acoustic set. 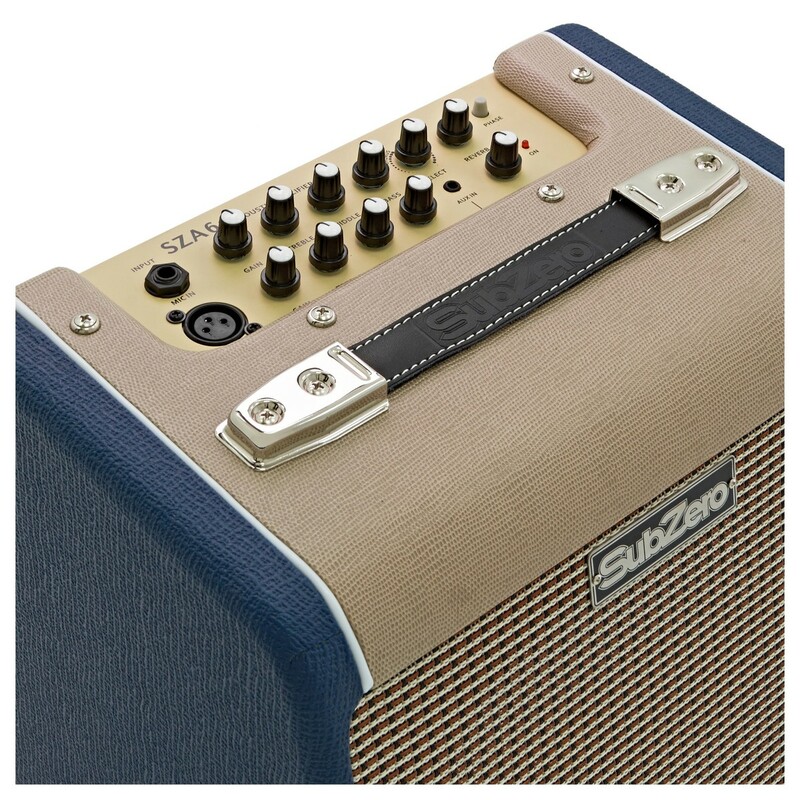 This striking blue and tan acoustic amp has a lightweight construction and corner protectors, making sure this amp can stand up to regular handling and tansport. 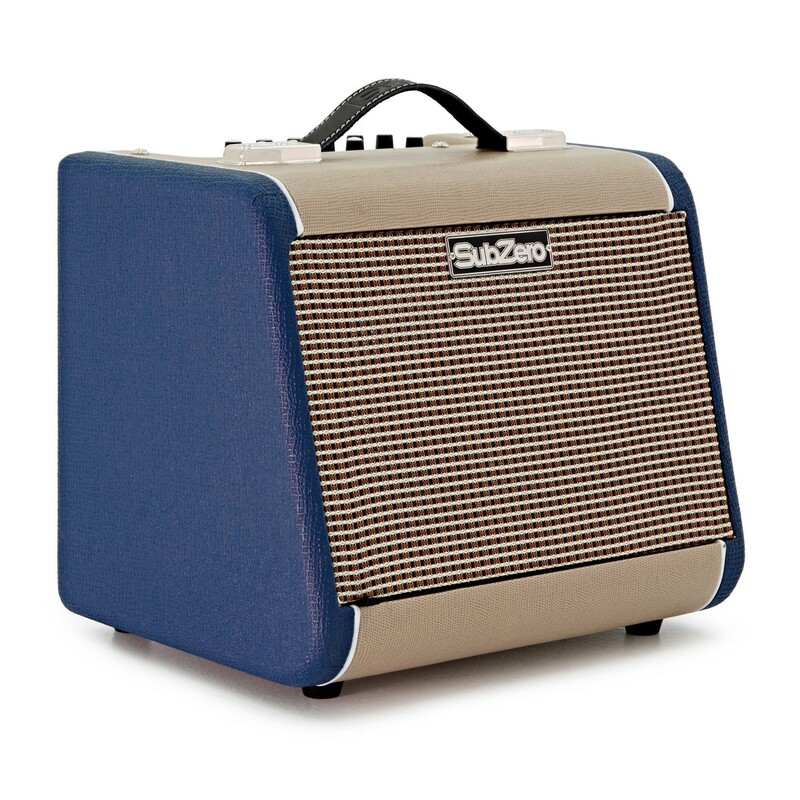 As well as this, the soft, durable carry handle makes this amp easy to carry from gig to gig.